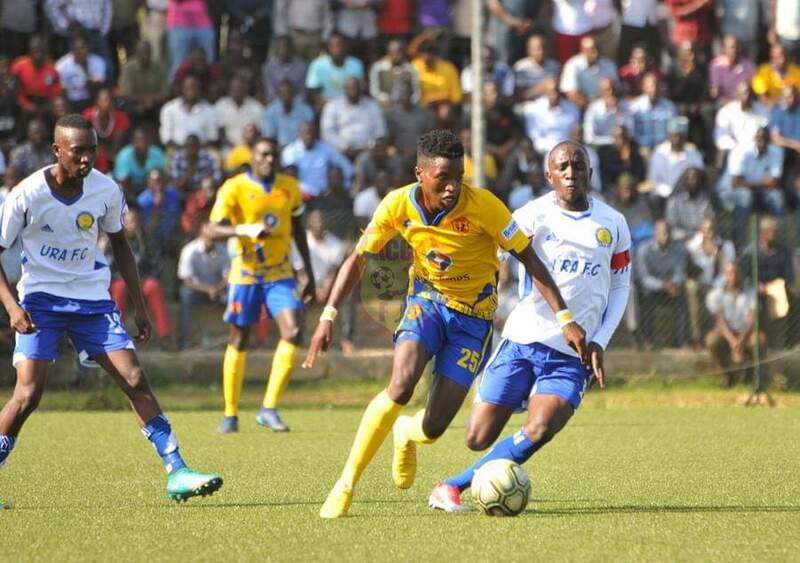 LUGOGO – Shafic Kagimu’s two goals ended KCCA ‘s unbeaten run at home this season. Kagimu scored a penalty in the 25th and 80th minute to give URA an early lead. Timothy Awany would be equaliser turned consolation as the hosts lost only their second game in the league this season. URA dominated the early proceedings at Lugogo forcing Charles Lukwago into two fine saves. KCCA reacted by introducing Muzamiru Mutyaba for the Mike Mutyaba and in the 61st minute, they won a controversial penalty which was converted by Awanyi. With ten minutes to the final whistle, Mustafa Kizza brought down Joachim Ojera in the area and the referee pointed to the spot. Kagimu converted the penalty and hence scoring in both halves. URA stay fourth with 35 points but now only a point behind third placed Mbarara City who lost 2-1 away to Kirinya Jinja SS. Despite defeat, KCCA stay top of the standings with 45 points but only three ahead of Vipers who played to a goalless draw at Onduparaka.